All children are required by the National Curriculum to take full part in Physical Education. 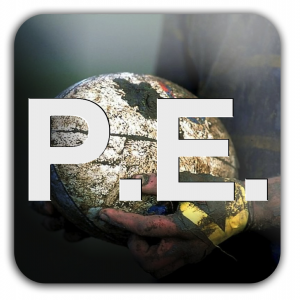 Our PE sessions are provided by sports coach Andy Conkey, every Tuesday. The program aims to set targets and challenges which will develop skills and techniques in a spirit of camaraderie, co-operation and sportsmanship. Teamwork and healthy competition are encouraged. The program includes swimming instruction, gymnastic and athletic skill development, ball skills, traditional games, and activities designed to extend co-ordination and muscular development. We have very strong links with other small schools in the area. The children will attend swimming sessions for part of the year. This includes children from Reception to Year 6. Information about swimming is contained on the monthly newsletters. As with other curricular areas, P.E. is a compulsory requirement of the National Curriculum. Children may only be excused for valid reasons, and on production of a letter from parents. Obviously, P.E. is very important for a child’s physical development and general health and parental co-operation is required. Supervision problems are caused when a child has to be excluded from an activity shared by the rest of the class. The children have regular opportunity to mix with children from other small schools in the area. Rugby, football, cricket, tennis and other sporting competitions take place throughout the year and there are various workshops and joint ventures featuring other subjects of the national curriculum.